Losing someone in death is a trauma that everyone will face in life. There are a few exceptions, like maybe a child dying before their reasoning develops. If the death is due to factors of aging, which is typically referred to as “natural causes,” it is in general much easier to accept. Others cause increase stress levels for those left behind. Here, I am focusing only on those where the death certificate registers suicide. This category is much larger than the general public would imagine. This group would be even larger if you consider those recorded as undetermined. Sheer tragedy, approximately one every 15 minutes in the USA. For us left behind the struggles are real and unavoidable. There are so many exits from the prime issues that survivors take. So much focus and emotional energy are wasted on conflicts, even with other survivors that are not worth the effort. One of those is comparing aspects of the initial event. To each survivor, whatever the circumstance – in their individual case, it will be rare for that experience to be superseded. All parties would be better off not spending time on this aspect of the death. I don’t mean this to be a condemnation. It is just more helpful to address the issues in your personal experience that can move you towards peace. Over time and council with a survivor nine years ahead of me, I slowly adjusted to this reality. Frustration will lead to anger. Anger will lead to confrontations and on to revenge if left unchecked. None of which will help you are anyone else. Yet, when I am angry enough, I somehow reason it helps. Each survivor’s measuring stick is laden with personal frustration and therefore subjective. It is so painful for me to watch these confrontation play itself out in the midst of a Suicide Support Group. In an effort to calm this, I commonly suggest that does not matter on the path to peace. Knowing well the added horror some face, cleaning up the physical and emotional debris left behind is simply overwhelming. Yet, again, for most survivors, the suicide is the worst thing that could or ever will happen in life. Anger is not easy to calm down. Even this suggestion, often give way to a debate which a vote will resolve. That may happen someday, but I have never witnessed it. wrestling with it. Even though I had repeatedly been told that “Doug, you are never going to figure it out,” I continued to think, well I will figure this out. My personal sense is there is a huge benefit in sorting through the emotional debris and reflect on life in your rear-view mirror. If you are anything like me your judgment on this matter will change over and over again. I wish someone could have effectively helped me here. 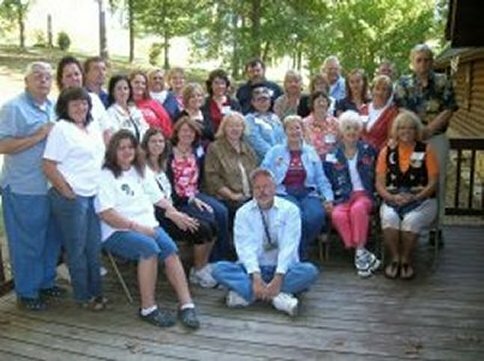 Folks in the support groups have shared hundreds of stories about approaches that helped them or a survivor they know. You will do well to have some conversation with someone you have confidence in before launching into some of them. Some have short-term help but no sticking power. Some were well beyond what my Constitution would allow. For me, it was too extreme to think that someone, I nor my wife had ever known, could interface with her for me. I have listened to stories where a Medium was their greatest help. That is a choice you make. This is yet another area where conflict can surface and imply a vote to agree or disagree is in order. There is nothing to be gained in trying to convenience others to think the way you do. Your emotional pendulum will swing back and forth looking for help. Again, here is an area where listening (and making your own personal assessment yourself) about experiences from what seasoned survivors have learned. It is beneficial to attain some objective opinions from someone you have confidence in. I finally gritted my teeth and went to a suicide survivor of suicide group. I had never been in something cauterized as a “support group.” I thought it was a horrible idea . . . but it came from someone I had great trust in. I had to make myself participate. There I could not only listen but watch others who were or had experienced my dilemma, at that moment. Watching and seeing for yourself allow you to hone in on what and how you want to try suggested help. Subsequently, you can witness the survivors live as some improve and others remain stuck. Accepting things just takes time, but so much is lost staying to yourself or simply reading. And written stories can leave a lot of room for misunderstanding. To observe the story teller's tone, and body language is irreplaceable. I think my group members (that stayed the course) came out the other side with a stronger emotional balance. We each learned to live with the reality of what has transpired . . . and in the end . . . were able to control the continual ruminations regarding how things could have or should have been. Are there any shortcuts or other ways to get to the next day and have some measure of peace? I don’t know. All I can share is what worked for me. These words, like other things you hear or read, you need to evaluate for yourself. Don’t subject them to a vote. The voters do not have to live your life . . . you do. As HARD as this all is YOU alone should decide how you will (or could) rebuild a new life. Deciding is step one. Executing and evaluating your progress is the important part. If you don’t follow through, chances are you will become (or stay) stuck. After all these years, I frequently wonder “why am I still here?” When I feel alone, the answer is I don’t really know. But I have found PEACE in this life.